ETTU.org - ITTF the largest International Federation! ITTF the largest International Federation! 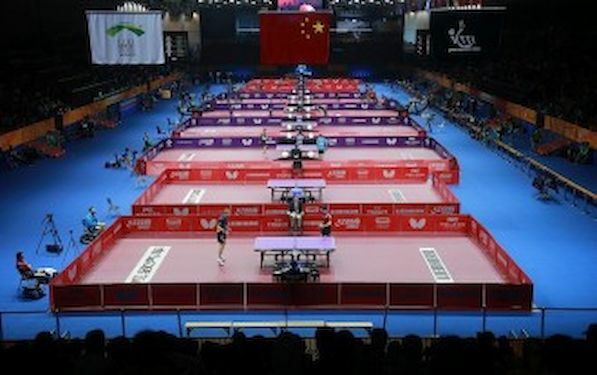 The International Table Tennis Federation (ITTF) is now the largest International Federation, with 222 National Associations. Sao Tome & Principe and South Sudan were accepted into the ITTF family today at the ITTF Annual General Meeting (AGM) to overtake Volleyball as the largest International Federation. The newest additions is a result of the ITTF’s Development Program’s objective to grow national associations to have table tennis played in every corner of the globe. The ITTF Development Program, which was initiated in 1999, has now added 42 new National Associations, with new addition of 2-3 new members per year. Quantity is not what the ITTF is solely looking at; the Program offers support for member associations around the world support in terms of equipment, coach training, player training and more to assist them in developing and growing in a sustainable way. With the inclusion of Sao Tome & Principe and South Sudan, the ITTF will only have 4 more countries, Eritrea, Guinea-Bissau, Cape Verde and Bahamas, remaining in the Olympic family to integrate in order to reach its final goal of having a National Association in every country possible. The ITTF is currently in contact with the Olympic Committees of these remaining countries, aiming to achieve full inclusion of all members of the Olympic family to the table tennis family. The ITTF AGM was held in conjunction with the Qoros 2015 World Table Tennis Championships currently being held in Suzhou, China.